Police have now reported that a total of nine people have died over the weekend, all believed to be from narcotics overdoses. Officials have stated that the deaths took place between Friday and Sunday, and the last happening on Sunday evening. Out of the nine victims, five of them were from the Kensington section of Philadelphia. 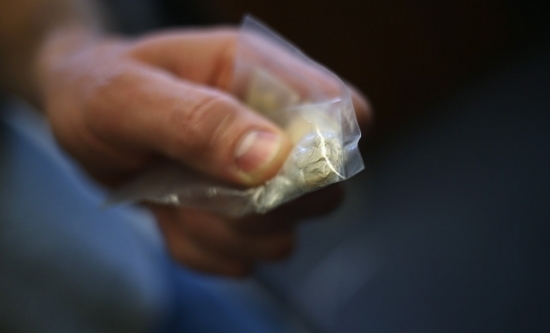 Police have stated that the string of deaths over the weekend might be linked to a bad batch of heroin circulating the area that Philadelphia Police have been investigating for months. Philadelphia's District Attorney Seth Williams stated that Sunday could have been worse if "it weren't for Philadelphia Police administering Narcan (a nasal spray to treat a narcotic overdose in emergency situations) to other users." Investigators are now waiting on lab results for the makeup of the drug. Philadelphia Police are investigating a incident that happened on a SEPTA bus Monday morning. The incident took place on Rising Sun and Adams Avenues at around 6:30 am. Police stated that two men boarded a SEPTA Route 9 bus Monday morning in the Summerdale section of Philadelphia and threw a powder as well as a liquid substance on the SEPTA driver. Investigators were able to get the liquid and powder tested and says that neither came back positive to being harmful. The SEPTA driver was not injured in the incident. Police are now investigating the incident and are searching for the suspects responsible. New Jersey Governor Chris Christie signed legislation on Monday that would forgive certain New Jersey Student loans if the borrower of the loan dies. The legislation would forgive borrowers of the New Jersey College Loans to Assist State Students (NJCLASS). The loans would still be forgiven even if the student who died had a parent or guardian co-sign the loan. The legislation came about after student borrowers and parents testified in August that the state needs to work on how they handle student loans. NJ's Office of Legislation Services estimated that the legislation could cost the state nearly $1.5 million a year over the next three years. The Sixers play at home tonight against the Nuggets. Tonight, Partly Cloudy with a low of 33 degrees in Center City.